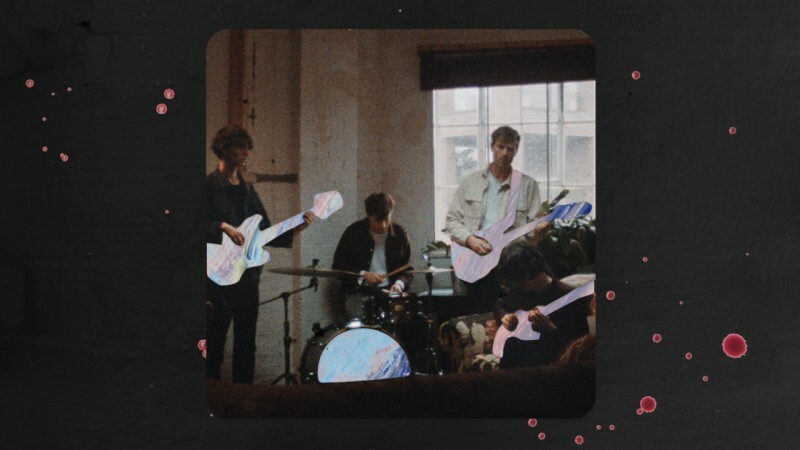 To follow up on the I'll Be Waiting EP that came out in April, Gengahr have made a video for the title track with the director Jamie Whitby and Try Hard Productions - the same team behind the Before Sunrise video! Musikexpress shared it earlier on today, and you can watch it via YouTube or Apple Music. I'll Be Waiting was filmed in London, combining animation with footage of real life couples to explore the intimacy of modern relationships, while also considering the heartache of lost love. "It was pleasure teaming up with Jamie Whitby again, and I’m proud we were able to make a beautiful film that celebrates the power of young love by finding real people captivated by one another to the point they almost share the same breath, living an intimate life in stereo." Listen to the I'll Be Waiting EP here, and grab a copy of the album Where Wildness Grows on CD or LP!